It’s also clear that whoever writes these descriptions like the word various. I need a little bit more than that. 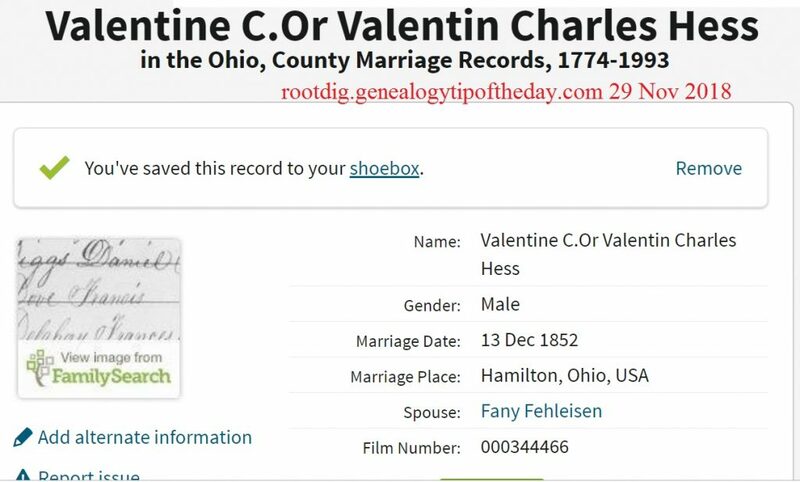 Viewing the image on Ancestry.com does allow me to see the image that was used to create the database entry for Valentine and Fany. However, when viewing image “1” in the set in which their marriage record appears, I am taken to the first page of the book containing their record. I’m not taken to the title card, title page, book cover, or any of the similar items that are typically at the front of a microfilmed record book. All I can determine from Ancestry.com‘s interface of this image is that it came from a record book in the Hamilton County, Ohio, courthouse. What that book’s title was or anything else I can’t figure out from the way Ancestry.com served up this image to me. That makes it difficult to analyze the information. Because there’s something about these records that I need to know and that Ancestry.com makes it difficult for me to figure out. 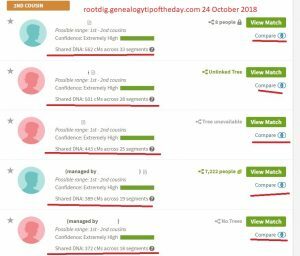 We’ll have that in our follow-up post at http://rootdig.genealogytipoftheday.com/?p=8054. If you find the marriage record, it will probably be a transcribed record. My ancestors married in 1850 in Cincinnati, Hamilton County, Ohio. Due to a riot, many of the courthouse records were damaged. The microfilm image I found was a transcription; all entries were in the same handwriting. I later learned why. Fortunately, I found the church record of the marriage. Good luck! Thanks! Our followup will mention pretty much what you’ve suggested. 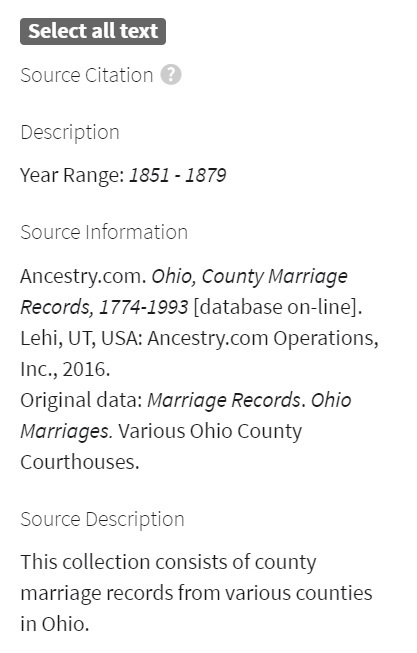 I have an ancestral couple (not related to this guy) who married there in 1849–their marriage record was destroyed and fortunately there was a church record of their marriage that was indexed. This guy may be the Valentine Christian Hess I’ve been looking for for sometime. There will be more followups later–but they don’t really have too much to do with this marriage record. It’s just a great example of why getting beyond one image that’s been dished up is important. Ancestry cares little for sourcing the documents they host. They are selling anything they can sell to make the ancestry corporation profitable. Apparently few do genealogy so they seem to have no idea how important a source citation is. I’ve given up using their bla, bla, bla citations and hunt for them myself. I wrote better citations before I knew how to do it than they do now, many years into it. Their focus is not genealogy. Their focus is selling. The US federal census is probably the only thing where I may use their citations. For just about anything else, I try and determine what the actual record was, where it was recorded, etc. While the indexes at Ancestry have many limitations, it can make the finding of some things faster. The problem is that given how they “serve up” some images, it is not always easy to determine exactly where the original was, particularly for a user who is unfamiliar with the original records in the first place. Re: “Mystery Meat” . . . Could these issues be part of the reason that “newly discovered cousins” don’t respond — some of the particulars cited by my new cousin don’t resonate at all with anything else I’ve found — and my scam detector is on high alert when I’m online. Just a thought . . .